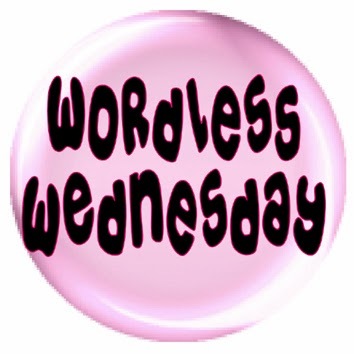 This entry was posted in Blog Hops and tagged #WW, create with joy, Sammy, Wordless Wednesday by pilch92. Bookmark the permalink. I’ll bite. What’s a Yeowww Fishie? °? Yeoww! is a brand of catnip toys for cats- very potent. He got a fishies, but they make bananas, cigars, etc. We aren’t sure what a Yeowww Fishie is but this is sure a cute photo Sammy! Lucky Sammy! Looks like he’s enjoying some good sniffs! I has one too Sammy. Love it. We bet that is such a fun fishie. What a nice gift. Have a fantastic day. Lucky Sammy! A fishie is always a welcomed gift! He looks like he’s really into it! Looks like he has a lot of fun with the Yeowww fishie! Good for him! Sammy looks so happy with his fishie, whatever that is! That’s a very cool fishie! Oh goodness! Look at that belly! Our mom would kiss that for sure. What a cute picture. And hurray for Emmy! Be well, my dears. We bet that fishie is niptastic, Sammy. Have fun! What a nice surprise, Sammy. It’s always fun to get a gift from another kitty. We don’t know for sure what that is, but it sure looks like Sammy is enjoying it. I don’t know what a yellow fishy is but it looks interesting. It is a potent catnip fish. We have one of those fishies too, and a green one, Sammy…two for Da Boyz. Hey, why is your tummy so pink…are you licking your belly? Looks like he’s enjoying the Yeow fishie. Whatever it is. That looks like a great gift Sammy that you got from Scout. Judging by the picture you are having a great time with it. Have fun and have a great day. He loves it. Thank you for visiting. Can’t go wrong with a nip fishie, can you? Have fun playing with it today, and when you are done, be sure to share! What a nice surprise from your Scout friend ! It looks like loads of fun in that little fishie. What’s not to life ’bout a Yoewww! anything? Yeowww!!! toys are the best!!! It is 🙂 Thank you. Yeowww nip toys are the best! Have fun with your fishie, Sammy. Those Yeeow fishies are awesome. Enjoy, Sammy! The YEOWW stuff is amazing. Enjoy!!!!! That sure is something to “Yeowww” about! I hope they are live ones that wiggle their fins. Tee hee hee!